The Kiwis are an amazing bunch of creatives, and are certainly punching above their weight as far as film is concerned. The World’s Fastest Indian is a magnificently-crafted piece of cinema that showcases the country’s talent and attention to detail perfectly. 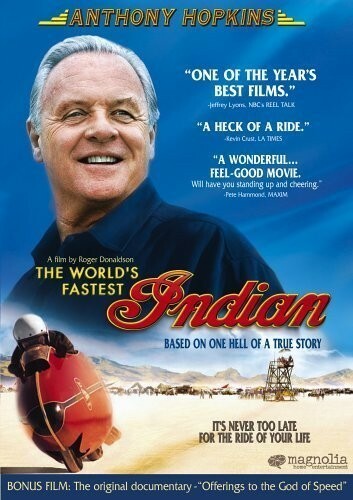 It’s the true story of Bert Munro from Invercargill, who has spent decades carefully modifying his 1920s Indian motorcycle, and in 1967 travels to Bonneville, Utah to run it on the salt flats in the annual Speed Week competition. Anthony Hopkins gives a splendid performance with a surprisingly appropriate accent, not only for the character’s New Zealand origin but also his age and personality. And the precision of his performance is simply a footnote to the carefully composed script that really demonstrates the characteristic strengths of the New Zealand mind.